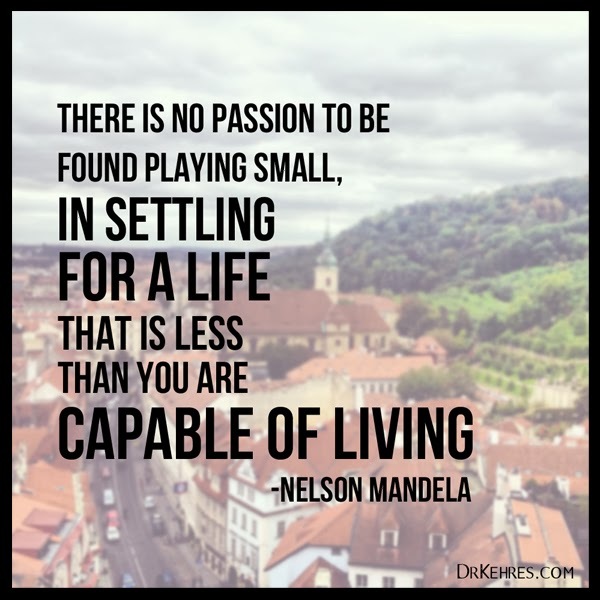 Make your health a priority, live the life you are capable of living. 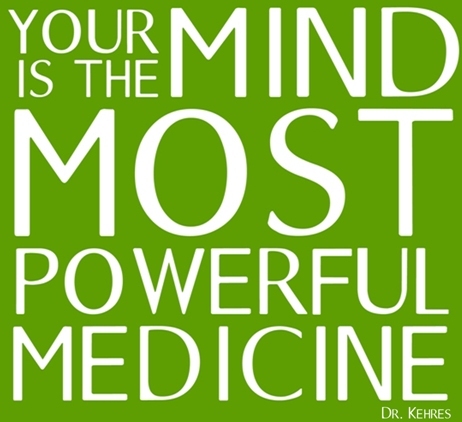 Learn more about true health at www.DrKehres.com. 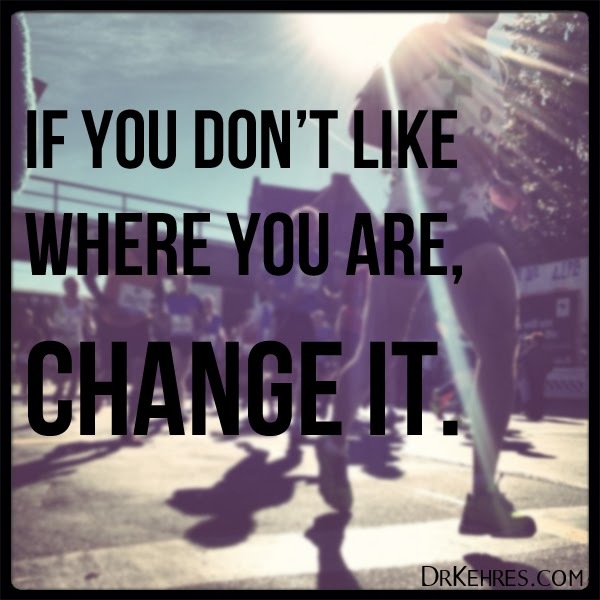 Ready to make your health a priority? Contact us at 989-607-4322, Midland chiropractor and Saginaw chiropractor. Visit our health blog at www.drkehres.com. Are you looking for a healthy, non-alocholic drink to enjoy this holiday season? Especially with my wife being pregnant, this has been a priority for us this year. 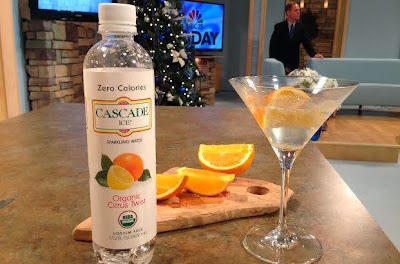 I was recently on NBC 25 with different, delicious drinks and a few of our favorites. Cascade Ice comes in four flavors, citrus twist, lemon zest, lemon lime and mixed berry. It is organic and has a very short ingredients list (always a good thing!). In Michigan, it is available at Kroger, click here to see where it is sold in other states. Perrier sparkling water is available at most grocery stores and served in some restaurants. Plain sparkling water is delicious and you can add your own flavoring through fresh or frozen fruit, but they also offer a variety of flavors. Pink Grapefruit is Jen's favorite. The ingredients list for their flavored sparkling water contains "natural flavors" which is very broad and undefined, but it still makes this drink a better option than the majority of other holiday drinks. And Perrier is often easy to find in glass bottles, which is always the best option (safer than plastic). There are a variety of other healthy sparking water brands available, these are just a few of our favorites. Earlier this year we went to Europe, and many of the restaurants we went to for dinner served water in wine glasses and sparkling water was always available. This simple change of glassware made drinking just plain water more fun. Add some fruit to garnish the drink, and you have a very healthy and easy to make non-alcoholic holiday drink! 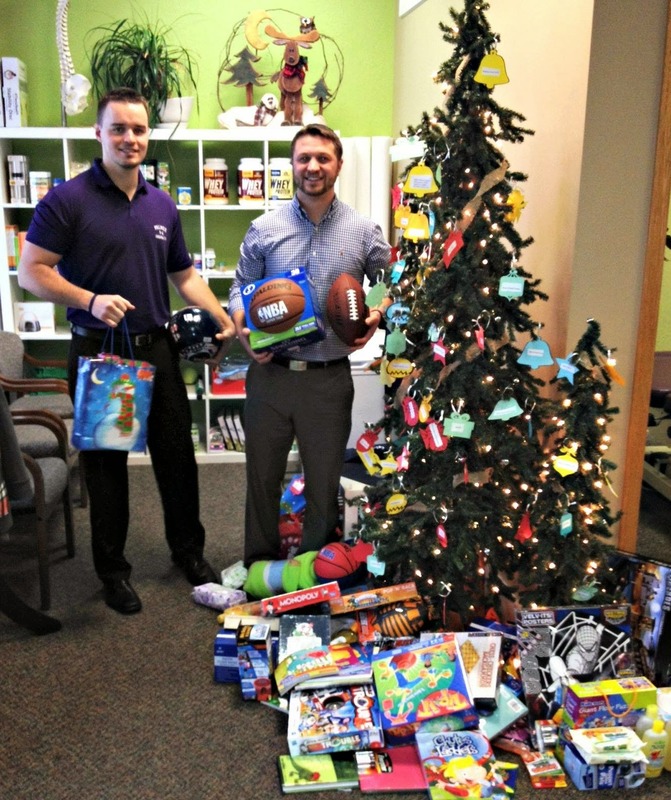 Thank you so much to everyone who donated Christmas gifts for the Saginaw Underground Railroad! 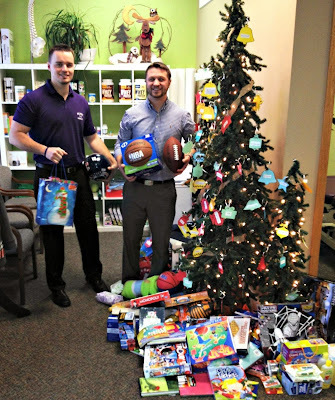 We received a lot of great presents dropped off to Kehres Health & Chiropractic, thanks to Dr. Fritz & Dr. Harpham for delivering the gifts today! We look forward to partnering with another local non-profit next Christmas at our Saginaw chiropractic and Midland chiropractic offices. 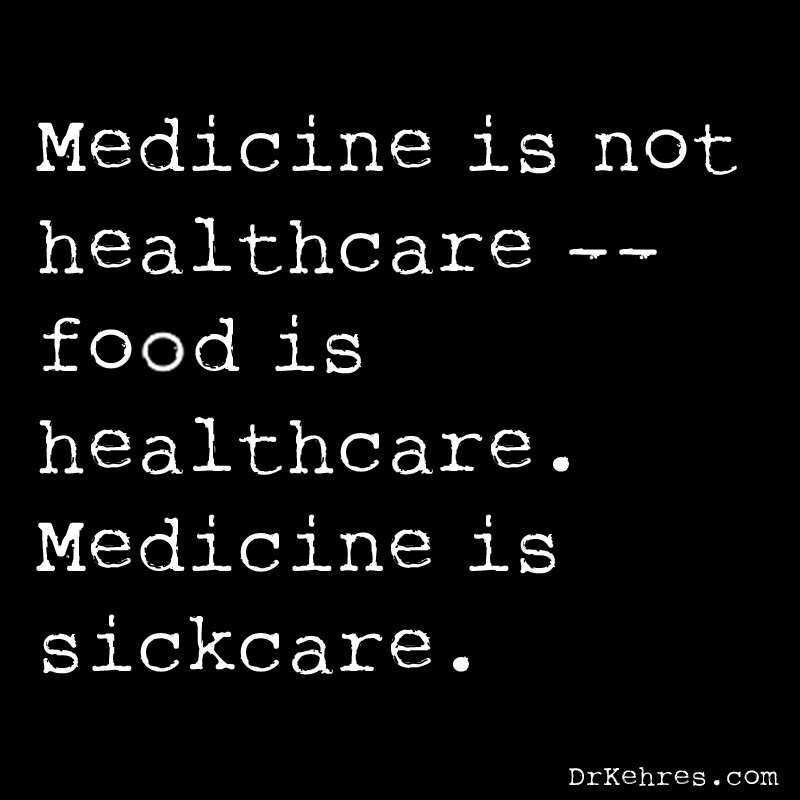 Learn more about nutrition and true health. If a seed falls on cement, it cannot grow as it is not in an accommodating environment. You can do the same thing with your health, make your immune system strong as cement to prevent sickness and the growth of disease. Nutrition - sugar depresses your immune system and grains cause inflammation. 80% of your immune system is in your stomach, take care of it and you'll do your immune system a favor! 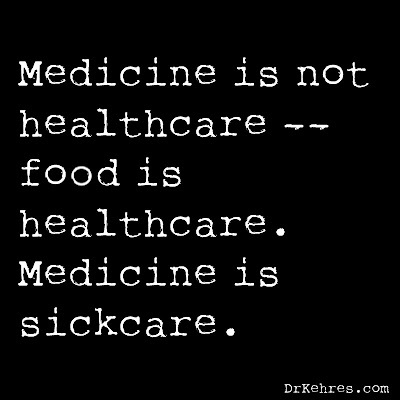 Learn more about nutrition at DrKehres.com. Remove stress - stress depletes nutrients. The holiday season can get busy and hectic, but dealing with stress in a healthy way and having a positive attitude can directly impact your health. This also means removing physical stress. We all know that being in pain can affect your mood and it also affects your health, the sooner you can get out of pain, the less stress you will have (physical and mental). Call your chiropractor for natural pain treatment. Vitamins - people tend to get sick more in the winter, this is also when we get six less hours of sunshine a day. A coincidence? I think not. The flu follows the cycle of the sun. Especially if you live in the north, be sure to supplement with high quality Vitamin D3. Probiotics are also helpful to keep your stomach healthy (where the majority of your immune system is). Sleep - your body repairs when you sleep. Turn off the TV, get off your computer (after reading this of course) and aim to get in bed by 10:30 pm. Exercise - exercise helps with digestion and lymph flow. Get moving to strengthen your immune system! Wishing you a very healthy and happy holiday season from all of us at Kehres Health & Chiropractic! 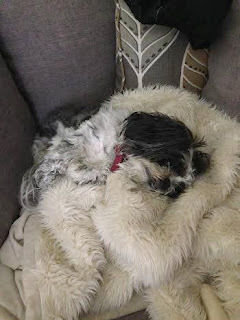 Do you feel like this lately? 'Tis the season for seasonal affective disorder (SAD)! Tired, depressed, foggy, blah, lethargic? It's called SEASONAL affective disorder for a reason. What do we do differently in the winter? We move less and we don't get sunlight aka Vitamin-D3! Both exercise and Vitamin D helps boost mood, increase energy and improve brain function. Get moving and start supplementing with Vitamin D-3 ASAP!